Wedge design side frame extensions to prevent crop vines from catching frame, extensions are easy bolt-on mounting. This 3-point field cultivator, the "Shattertill", does exactly that, it shatters compacted soils . 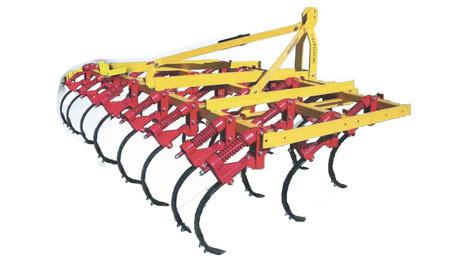 A Shattertill field cultivator with the same features as Model SC above, but in larger sizes of 12, 13, 14, 15, 16 and 17 foot widths. Category 0, I or II A-Frame for square toolbars mounted on the diamond. 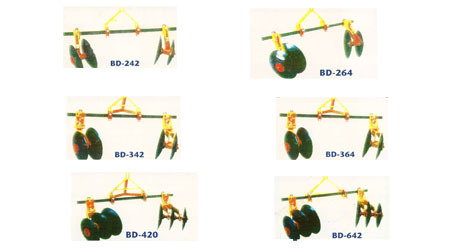 Rigid or fully adjustable border disks with two or three tapered group blades. The ideal berm cultivator for orchards and vineyards. STARTING AT 2 FEET UP TO 24’ IN ONE INCH INCREMENTS.